THE 2016 GOLDEN GLOBES: TROPHIES, COOKIES, AND MORE! With the Golden Globes having aired Sunday night, awards season is now in full swing! However, there is much to debate regarding this year’s event. To start, did it seem like the Hollywood Foreign Press (HFPA) had a hidden agenda? Personally, I feel that many of the winners were definitely a surprise! 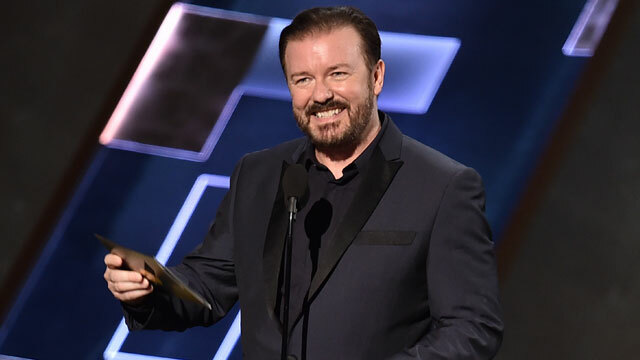 Ricky Gervais kept the audience laughing once again during the awards show. I must say that I do love Kate Winslet. However, she wasn’t the frontrunner for the Best Supporting Actress in a Drama category. Despite her well-received performance in Steve Jobs, most believed the frontrunner for this award was Jennifer Jason Leigh for her performance in The Hateful Hate. However, I was not-so-secretly routing for Alicia Vikander to win for her role in Ex Machina. The most surprising win of the night belongs to Rachel Bloom. Bloom won the category Best Actress in a Comedy or a Musical for her role in Crazy Ex-Girlfriend. The CW is really stepping up their game since Gina Rodriguez—star of The CW’s Jane the Virgin—won in this category last year. Despite my huge support for Bloom and this show, I assumed that she would’ve lost to other heavyweights within the category—being Julia Louis-Dreyfus and Jamie Lynn Curtis. Another surprise of the night includes the win for Best Picture in a Drama: The Revenant. Most indicators believed that Spotlight would be the won to take home the title. However, Leonardo DiCaprio’s new film seemed to have come out on top in every category it was nominated in. Speaking of DiCaprio, can we talk about the standing ovation? As he walked to the stage to claim in award, he waited for a moment to speak while everyone in the audience cheered him on. During his speech, the orchestra music cut him off. However, he continued as if it wasn’t playing at all. I mean, come on HFPA. Let Leo have his moment! Now, I wasn’t too surprised about The Martian for Best Picture Comedy or Musical. However, like the directed put emphasis on “comedy” during his acceptance speech because The Martian isn’t a comedy. Yet, I think the HFPA placed it in this category due to Matt Damon’s occasional comedic approach. Plus, it gives the film a better advantage. Still, I, like many, believe that The Big Short was the more likely choice to win. There were wins that were highly expected, such as Inside Out for Animated Feature and John Hamm for Actor in a Drama. However, my personal highlight was seeing Taraji P. Henson win Actress in a Drama for her role in Empire. As the vibrant actress made her way to the stage, she handed out cookies to members of the audience. Hence, her character’s name—I see what you did there Henson! 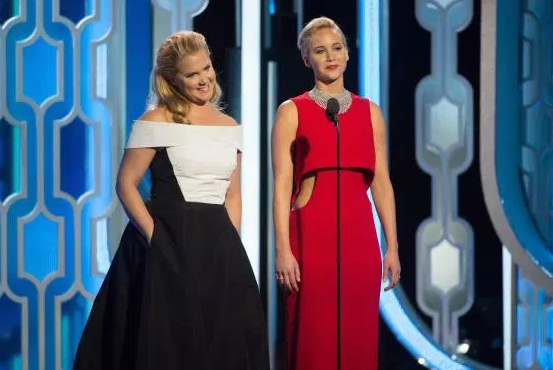 Another highlight that proved to be quite enjoyable was Jennifer Lawrence and Amy Shumer presenting their film clips. In doing so, the put on a funny bit as they reinforced friendship goals. Lastly, I was more than satisfied to see Brie Larson win Best Actress in a Drama for her role in Room. It’s about time that Larson receives attention for the hard work she’s put in as of late in various roles, like in her film Short Term 12. It was a much-deserved win! After watching this year’s Golden Globes, what do you think? What were your favorite moments? Were you surprised by anything? Let us know in the comments below! 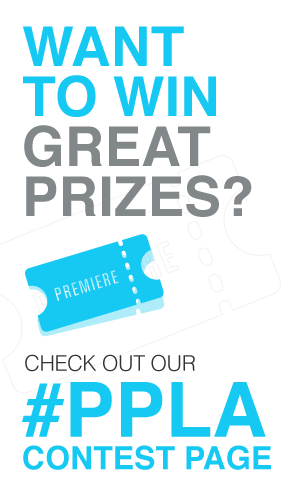 Keep following Press Pass LA for more upcoming awards season coverage.